The Northern Territory Government is investigating potential sites and planning infrastructure to expand Darwin’s ferry services over the next 50 years. 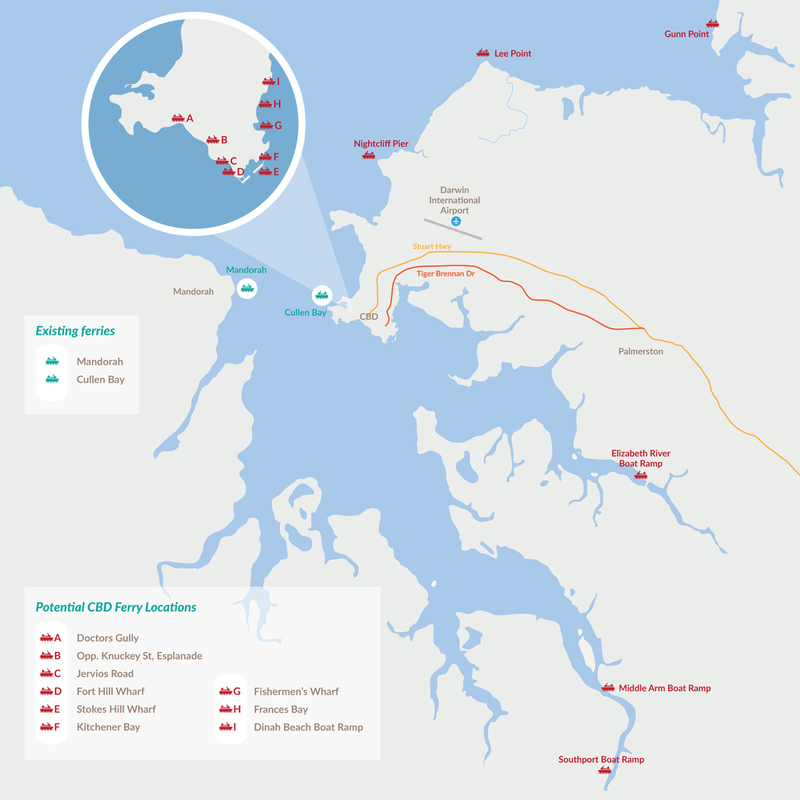 An important feature of the long-term planning study will be to consider how potential ferry site locations integrate with other transport options such as bus routes, cycle and pedestrian paths as well as existing and future road networks. The Darwin Regional Land Use Plan estimates 130 000 people will be living in the greater Darwin region in the short term and 250 000 people in the next 40 to 50 years. The analysis will look at trigger points for future demand for ferry transport over a 50-year period. The study will also consider water depth, land tenure, access and prevailing weather conditions, environmental sensitivities as well as servicing and infrastructure requirements for future long-term ferry facilities such as pontoons, jetties, dredging, ferry terminal and parking. Potential tourism opportunities and community benefits for a broad range of harbour users will also be considered. Please tell us what you think about future ferry sites and infrastructure. Your feedback will help identify the most appropriate sites for future ferry infrastructure and services. You can also call (08) 8981 6445 to register your information for project updates and register to come along to a community information session at the Mirambeena Resort from 5:30 pm to 7:00 pm on Wednesday, 15 November 2017. Community consultation will close on 13 December 2017 and the study is due to be completed by early 2018, with stakeholders to be kept updated throughout this project. For more information download a fact sheet (490.8 kb) and Q and A (126.0 kb).